Last night’s James May’s Cars of the People on BBC2 brought back some memories as he took to the wheel of eastern bloc cars like the Trabant and Lada. Back in the early 1990s, as a direct marketing copywriter at the Leeds advertising agency, Poulter plc, I wrote a number of mail-packs and leaflets for Lada. 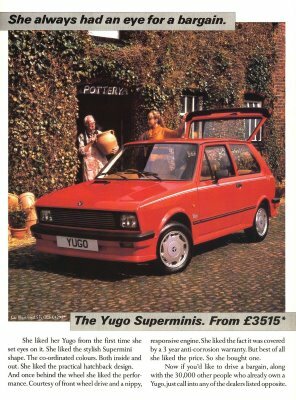 Before that, at Leeds advertising agency, BRAHM, I did the odd bit of copywriting for another eastern bloc car – Yugo – a brand used by Zastava Automobiles for export markets. I’ve just come across an old Yugo ad (see left) from when I was a copywriter at BRAHM advertising (NB I didn’t write the copy for the ad and I can’t remember who did). 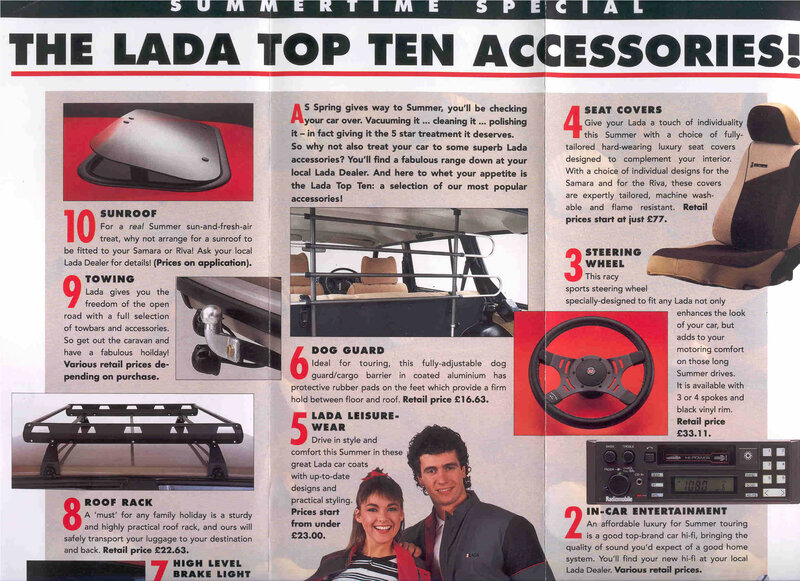 In fact I was so impressed with the stuff I was writing for Lada that I almost invested in a brand new Lada Riva myself. Until my boyfriend’s dad flogged me a bright yellow used Fiat 126 for £200. An even better bargain than the Lada. ← What is my favourite TV commercial of all time?